‘Facebook’s founder Mark Zuckerberg and his wife Priscilla Chan have pledged $3bn (£2.3bn) to fund medical research over the next decade. When we address the issue of diseases, primary prevention is ideal. (cardiovascular diseases, diabetes, cancers) that could largely be preventable. Perhaps as we improve our lifestyle and food intake, the amount of illness facing humanity will indeed naturally decline. One of the most primary prevention method available is vaccination. Over the past two decades, an anti-vaccination sentiment has developed among the public, with rumors of vaccines causing autism and mercury content in vaccines. However neither of these claims have been found to be true – the MMR vaccine does not cause autism; and neither does mercury which is also no longer found in any vaccines besides the influenza vaccine. Vaccination allows your body to prepare antibodies, allowing it to react faster. Your body is able to in essence, skip the step of being sick, and fight off the virus without you ever knowing it was there. Poliomyelitis, or more commonly known as polio, is a disease that has the ability to paralyse you permanently if it reaches the spinal cord. It has existed for thousands of years and is terrifying due to its high contagiousness. The wild poliovirus is now found in 3 countries – Afghanistan, Pakistan, and Nigeria. In 2016 there were only 37 cases worldwide. We managed to do this with cheap, easily administered vaccines. This is why cases of polio are at an all time low in history ! 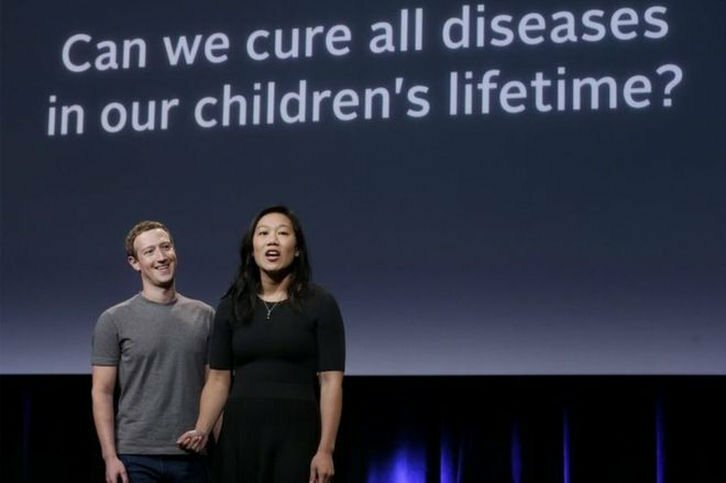 So wiping out all diseases may be a lofty goal but it could be possible if the Chan-Zuckerberg Initiative fills the gaps in research that other organizations are unable to cover. It also depends on how they are defining ‘no more sickness’ – are all preventable infectious diseases eradicated? What about genetic conditions and cancers which may not be outright preventable but instead managed? The Bill and Melinda Gates foundation have nearly eradicated polio so perhaps the Chan-Zuckerberg initiative will be similarly successful ?